Evening weather this time of year in Western Montana is pretty much perfect - barring any intermittent forest fire smoke - and downtown Missoula makes the most of it. 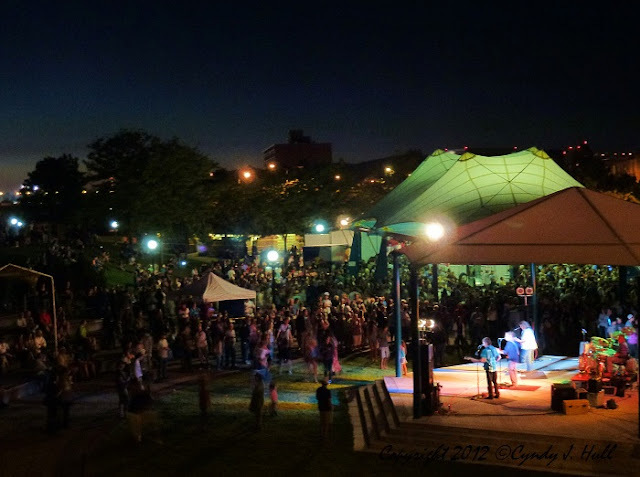 Last Friday was a perfect night for the TomCats to rock the crowd at the 2012 Maverick Brewfest in Caras Park. My sister & I took a big walk along the river path and north Higgins Avenue, enjoying the music and this view on our way back across the bridge.